Mussels with beer and mustard sauce. A generous serving of pasta puttanesca. 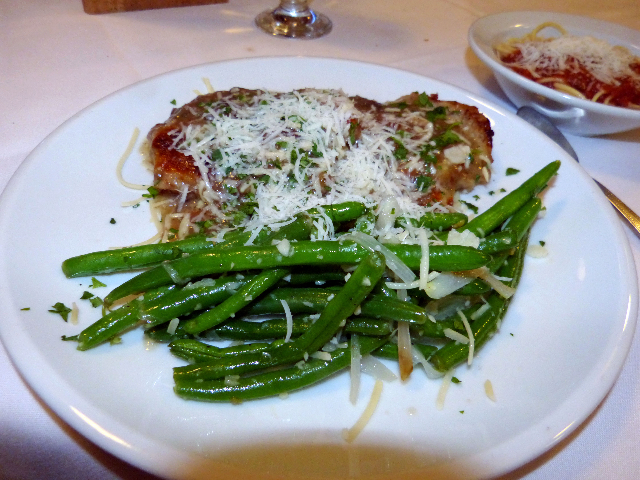 Green beans with Saltimbocca di Matteo. 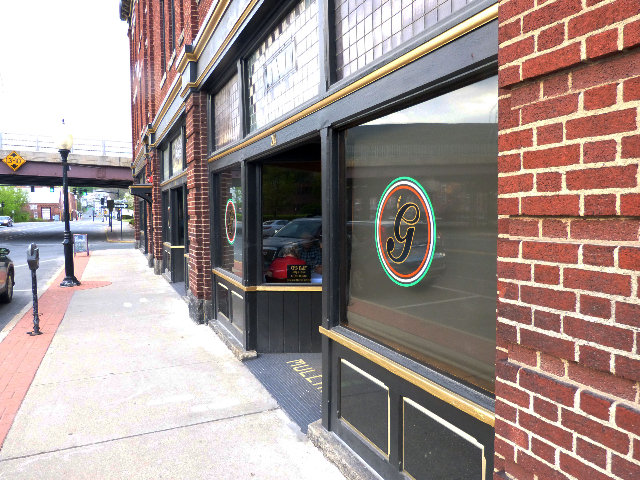 After extensive renovation a space that has housed restaurants including Gramercy Bistro (relocated to the MASS MoCA Campus) has reopened as Grazie Italian Ristorante. The adjacent Mohawk, formerly a working class bar, has also been upgraded. Overall the space is refreshed with attractive but unobtrusive interior design. The ambiance is now more upscale but strives for an affordable range. The menu is priced with an eye toward the seasonal flood of visitors to MASS MoCA across the street. It is an attractive option as tourists can walk across the street from the MoCA parking lot. 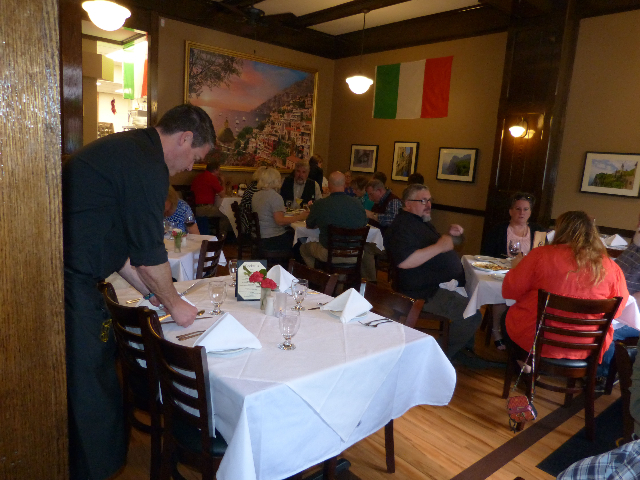 While Grazie dubs itself as a ristorante, which is Italian for fine dining, our experience of the food, ambiance and service hovered more toward trattoria, or family style restaurant. The difference, of course, is in attention to detail. There were lapses but overall the four of us rated the restaurant on its own terms as an eight out of ten. We concluded that we would be back to try other dishes. 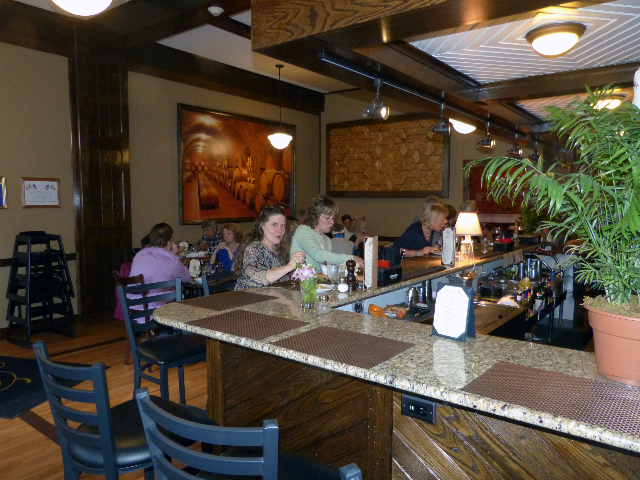 Depending upon how one orders it can be either a favorite local hangout or a destination for a special occasion. The dominant and unsolved issue with the space is the noise level generated from a relatively low flat ceiling. When we arrived on a Saturday night for a 7 PM reservation our area of the restaurant was packed with diners. One tried to converse over the off putting cacophony. On a busy night the service was attentive but with mistakes. Instructions when ordered did not get carried through. A wrong salad was delivered. Asking for fettucini rather than the more generic spaghetti for the side dish to an entree didn't happen. Then we were surprised and annoyed that it showed up on the bill with an extra charge. That was also the case for two of the entrees. There was an appetizer with short ribs and gnocchi and gorgonzola crumbles. When ordered as an entree we discovered that there was a $3 charge for gnocchi instead of pasta. The waiter was courteous about making adjustments to the bill but the surcharges should have been presented as an option. We asked if the restaurant served bread and if so is there a charge? In Italy it is served automatically and charged for. Jokingly we refer to it as "The bread tax." We were informed that it was a mistake not to put bread on the table. It would have been nice to scoop up some of the truly delicious sauces. Balanced against these details overall the food was excellent. Of the four entrees only one was truly disappointing. Pancho First class. Top notch. The Calamari Friti ($11 Rhode Island Style, Banana Peppers, Cornichon Remoulade & Pomodoro) was very good with a nice crispy batter. Not too delicate, not too hard. The dipping sauces were really good. The Puttanesca was perfect. 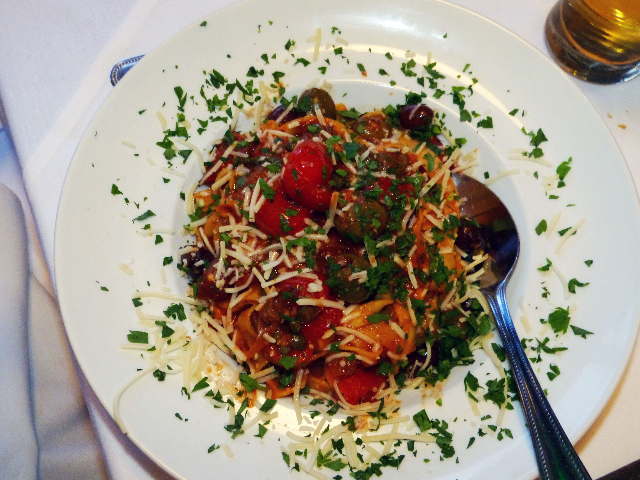 ($16 Tomatoes, Olives, Capers, Anchovies, Garlic, Parsley & Fresh Fettuccine). It had a gentle kick. It was perfect with a touch of olives. Overall an eight out of ten, but soundwise, noisy. Chica L I had the Cacciatore di Mackenzie ( $17 Sauteed Chicken, Red/Green Bell Peppers, Campari Tomatoes, Garlic, Vino Rojo & Spaghetti). Apparently there are only two choices of pasta. I ordered mine with fettuccini. The chicken came as very small cubes. It was tender with peppers and mushroom. It was a nice sauce and not too acidic. 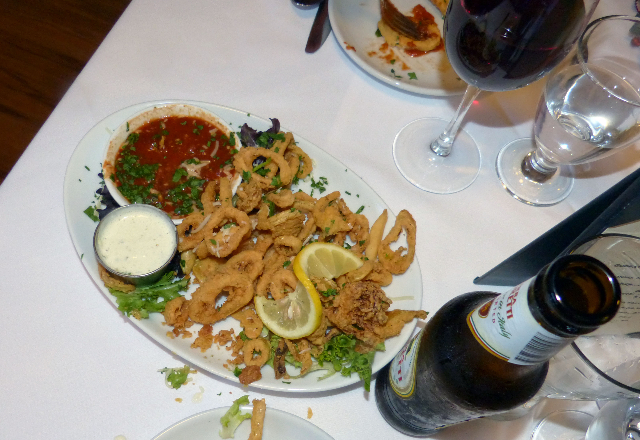 We enjoyed our calamari and the starter salad was very good with fresh greens. 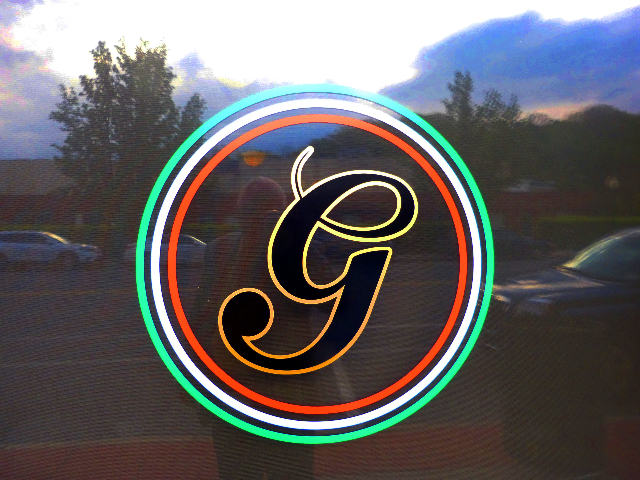 Overall I enjoyed it and we will return to try other items on the menu. Eggplant Parm will be my next choice. But I was annoyed to be charged $3 for substituting fettuccini instead of spaghetti. So I ended up paying $20 for what was a $17 dinner on the menu. That should have been explained. The noise level when we arrived really turned me off but it leveled off as earlier diners left. Chica A This was our first visit to Grazie. For an appetizer we decided to have mussels with a beer sauce rather than the usual white wine and garlic. 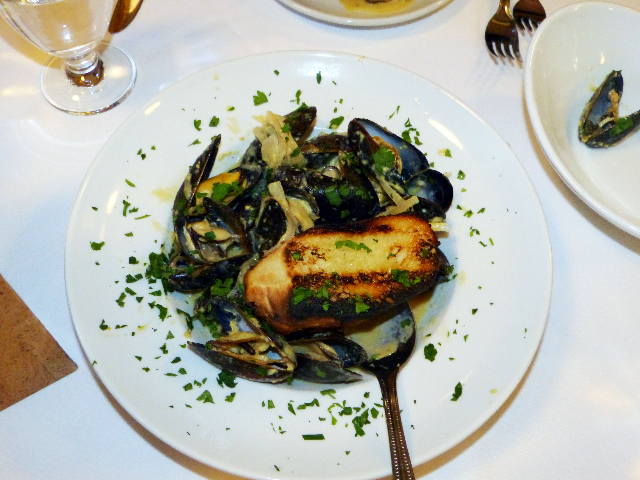 ($11 PEI mussels with local beer and Dijon mustard sauce). It was very tasty and it is a recipe that we can try at home. It was nice to try something different. We made mussels a couple of weeks ago and I suggested beer but ultimately we went with wine. They were wonderful. 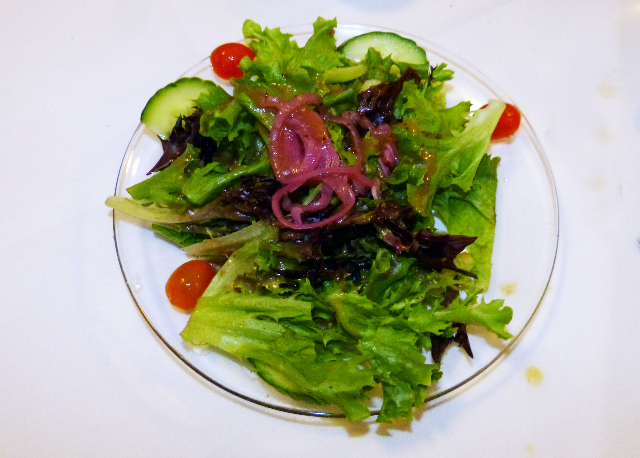 The starter salad that came with my entree was excellent. The gnocchis were overcooked and too soft. There was no texture. The whole dish was a bit of a mess. It was poorly plated as a big whitish mess overwhelmed with cheese. Visually it was very uninviting. 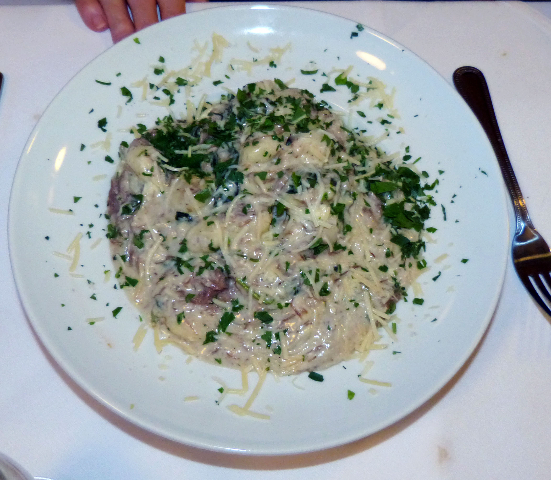 As an appetizer it was offered with gnocchi but as an entree ($19 Braised Short-Ribs, Baby Spinach, Gorgonzola Cream Sauce & Fresh Fettucine) it was offered with fettucini. Again I was surprised that on the bill it was $22 with the "upgrade" to gnocchi which was not only more expensive but ultimately disappointing. Overall we will be back. Cisco All aspects of what I ordered proved to be terrific. That started with a fresh side salad. Then our mussels with the beer sauce was wonderful. When the order arrive initially I could not identify the foreign object on top. It proved to be a single piece of dry, charred bread. That was for dipping into sauce. When I tried to tear it into bite size pieces it was tough and did not soften when absorbing the sauce. Here the lapse of not putting fresh bread on the table was a serious gaffe. I ended up spooning up the delicious sauce which clearly would have been more enjoyable with some fresh Italian bread. The main dish however on ever level was superb. It was just a notch below true ristorante quality as it is something I often order when traveling in Italy. I ordered the veal and was surprised to find that it was the same price as chicken. The sauce was truly excellent but there could have been a stronger presence of prosciutto. Again bread was sorely missed to sop up some of the sublime sauce. The fresh vegetable proved to be a generous garnish of crisp green beans. Frankly, I was shocked to discover a bean the end of which was not trimmed. In a ristorante that kind of mistake doesn't make it at the pass. 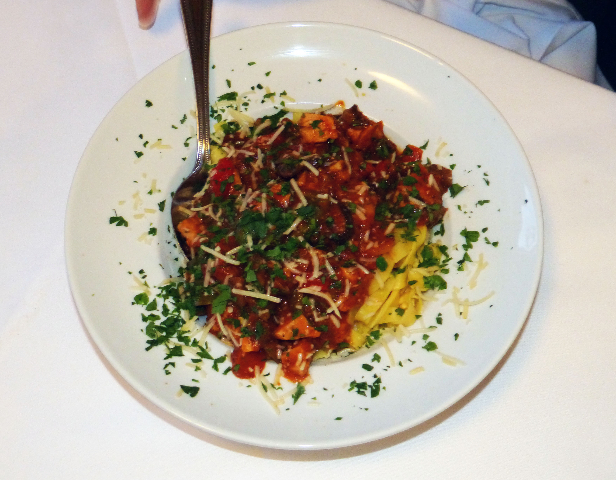 It's arguably an excusable mistake at a more affordable trattoria. More often than not a trattoria in Italy would be upgraded to a ristorante in America. In the Berkshires most tourists will hardly notice the difference. 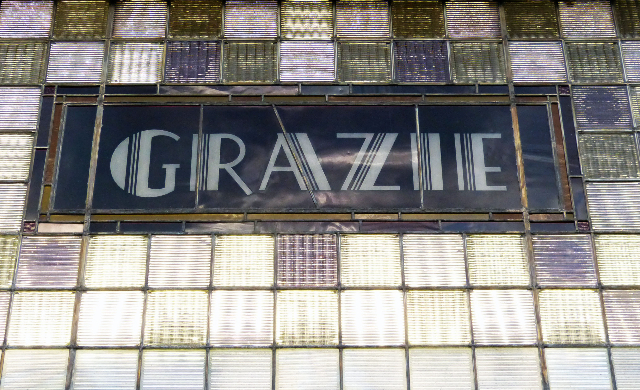 "We too had a good experience at Grazie, opening week. The only complaint I had was the short pour on wine by the glass. I had an e-mail dissuasion with the owner to no avail, as he assured me that it was a correct 6 ounce pour, surprising since he never saw it. I hope they don't kill the restaurant by nickel and dining it to death. I'll stick to wine by the bottle next time"
"Great review, honest and personal. Me, I like it semplice e gustosa."